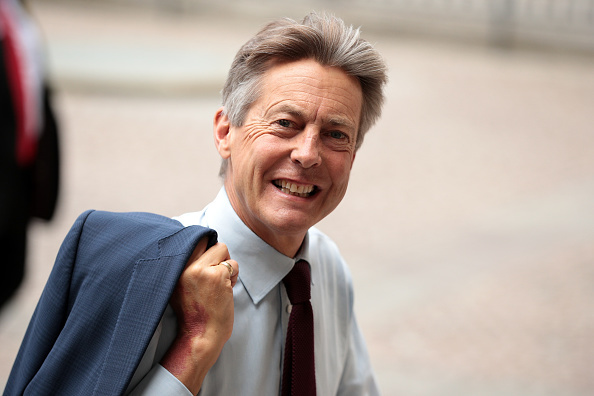 Julia Hartley-Brewer and Labour's Ben Bradshaw clashed when the politician suggested that MPs should get a free vote on whether to stay in the customs union. Bradshaw said he believed there was a "clear majority" in the House of Commons in favour of remaining in it, which angered the breakfast show host. "So what? I don't care! I'm a voter and I don't care what MPs want," Julia exclaimed. "We already knew that you were 75 per cent for remain. You gave the decision to the British people because you don't represent the British people on this issue. I don't give two monkeys what MPs want. I care what the British people want." Arguing his case, Bradshaw replied: "The trouble is, the Prime Minister has never allowed the House of Commons to explore those alternatives." "But why should we?" Julia intercepted. The MP hit back: "You can rant as rail as much as you like, we need to find a solution to this crisis. "In a parliamentary democracy the way we find solutions to national problems and national crises is by Parliament arriving at a view." He continued: "And that's what Parliament is trying to do, the government is trying to stop us, but unless Parliament is allowed to arrive at that conclusion and consensus we're just going to be in this mess for a very long time." Julia argued that the solution to the Brexit impasse was to "deliver Brexit, not to delay it", and accused the government of reneging on the referendum result. "Parliament did arrive at a view, that it would allow a referendum and then enact the decision of that referendum. Now Parliament is reneging on it."